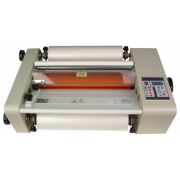 Compact and handy, the Cold Laminator 55.1" 1400mm has small dimensions of 1510 x 520 x 300mm which will allow you using it without problems in limited or particularly reduced spacious environments. 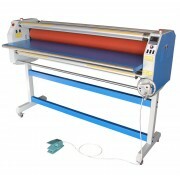 The Cold Laminator K-LAM 1400mm, Low price, extra performance. 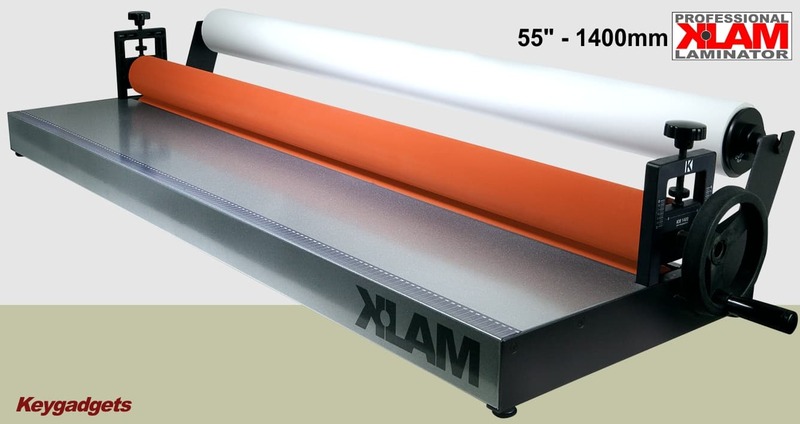 There are many solutions available on the market if you want to perform a professional lamination on different supports, but only one will be characterized by a particularly affordable price; we are talking about the K-LAM 1400 mm cold laminator. The smallest of the big Keygadgets family amazes not only for its competitive price but even for its features which have nothing to envy to other products of a much larger size and significantly higher costs. Its lamination width is 1400 mm, while the maximum supported thickness of various materials to laminate will be as high as 2.6 cm. Its weight of only 35 Kg makes this laminator easily transportable and adjustable on any type of work surface, without having to buy bulky and expensive wheelchairs. The wide diameter of the rollers is 85 mm, while the power supply type is exclusively manual. 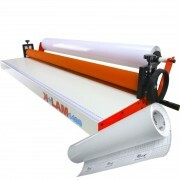 Why should I choose the K-LAM 1400mm Wide Format Cold Laminator? 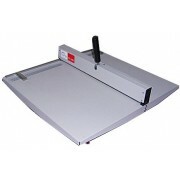 For your hobby, office or to practice your profession by offering laminate documents, photos, posters, or calendars without air bubbles and imperfections, through the K-LAM 1400 mm cold-laminator machine you will be able to save without compromising the final result of your work, which will always be impeccable. In addition, thanks to the materials implemented for its interior design, laminating with cold-calendering machine of the K-LAM 1400 mm model will allow you not only to carry out your work in total safety but also to obtain the maximal wear resistance. 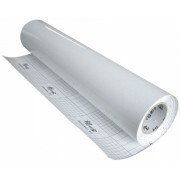 Most of the economical laminators on the market contain fragile roll holders made from plastics. Whereas our K-LAM 1400 mm is completely built on robust metal and does not contain PVC or other plastic materials parts. Moreover, the new version of K-LAM 1400 mm Cold Laminator, entirely produced in Italy, features a wider work plan in comparison with the previous KM-1300 model, as well as a practical precision side line and many additional structural refinements. Max laminating width: 1400 mm. Max laminating thickness: 2,5 cm. Diameter of roller: 85 mm. Operating method: Hand wheel operation. Packing dimension: 1510 x 520 x 300 mm. 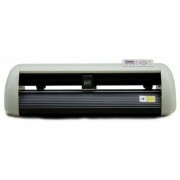 Protecting and preserving with the Cold-Laminator Machine. Lamination is a process which allows us to preserve and improve the appearance of many types of paper and photographic documents in just a few moments. This is the reason that stands behind the large diffusion of the plasticizing units nowadays: in the office, at home or in professional settings, in publishing, for the production of posters, panels and advertising panels. 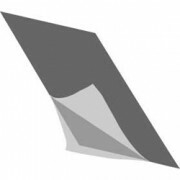 Choosing a model with the K-LAM 1400 mm Cold-Roll Lamintor Machine will allow you to provide lamination with the most perfect finishing, for yourself or your customers. 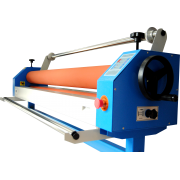 Do you have any questions about Cold Laminator 55.1" 1400mm K-LAM1400?